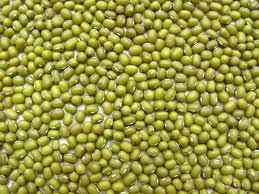 (Vigna radiata) - The seeds are often sprouted for use as Bean Sprouts, but are also edible as dry beans. The pods can also be eaten when young and immature. Planting & Growing Guidelines: Sow seed after any danger of frost has passed, and when the soil has warmed to at least 60?? F (16?? C). Plant 1 inch (2.5 cm) deep and 3 inches (7.5) apart in single or double rows. Cultivate shallowly until the plants are large enough to shade out weeds. Mulch between rows to help prevent pods from rotting if they touch they ground. Moisture is critical when the plants are in flower. When pods begin to mature, withhold water to help with drying.